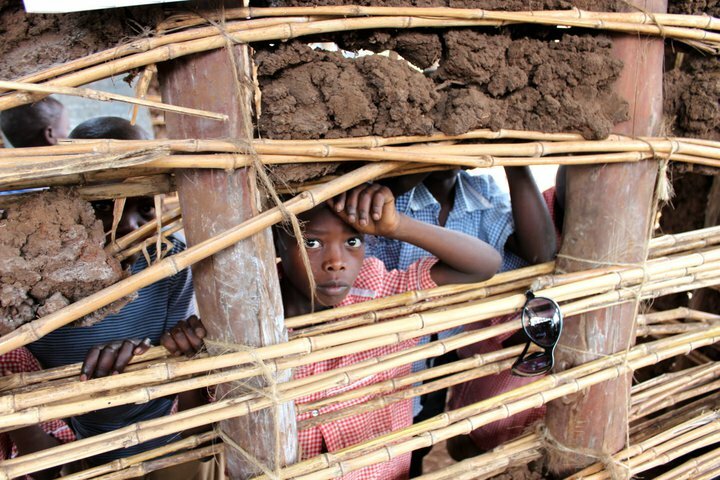 Mud walls, cracked and dry, are packed between vertically stacked sticks that reach about head high. 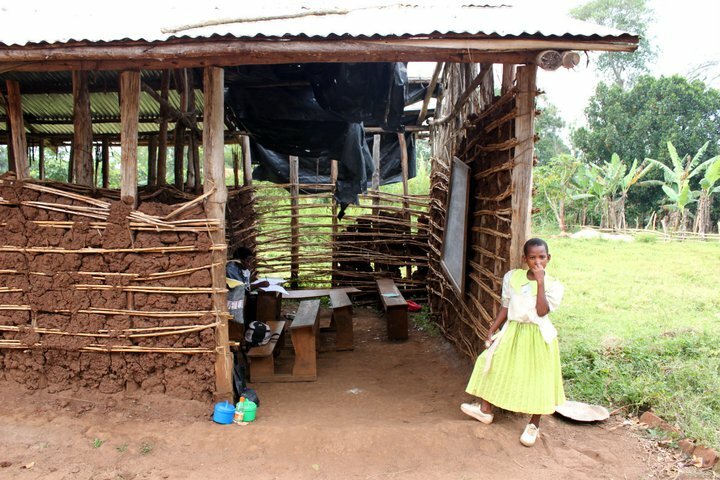 I look over the wall to two similarly constructed classrooms. Children are crowded on benches, bare feet on dirt floors. Uniforms neatly tucked in, they sit obediently and wait. The head master enters, smartly dressed in a pressed suit and tie. A stark contrast to the walls that stand behind him. The children stand to greet him, eager to please, willing to learn, they are the most well-behaved students that I have ever encountered. 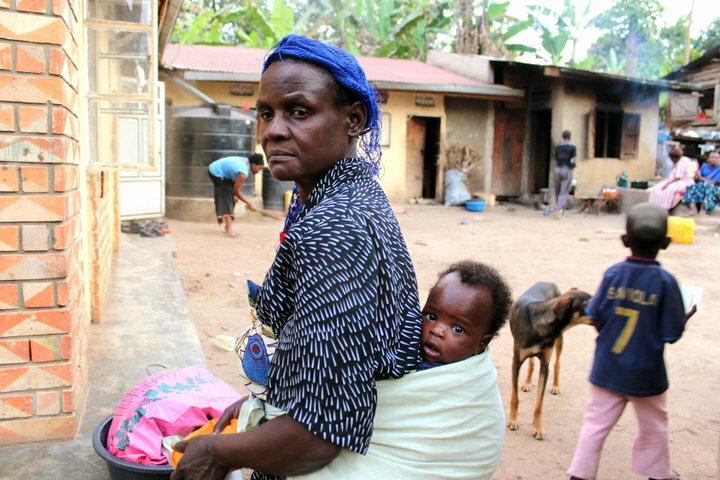 The Bigodi Women’s Progressive Primary School was started by a group of mothers. They wanted to offer an alternative for their children to the public classrooms packed with 90 plus students. 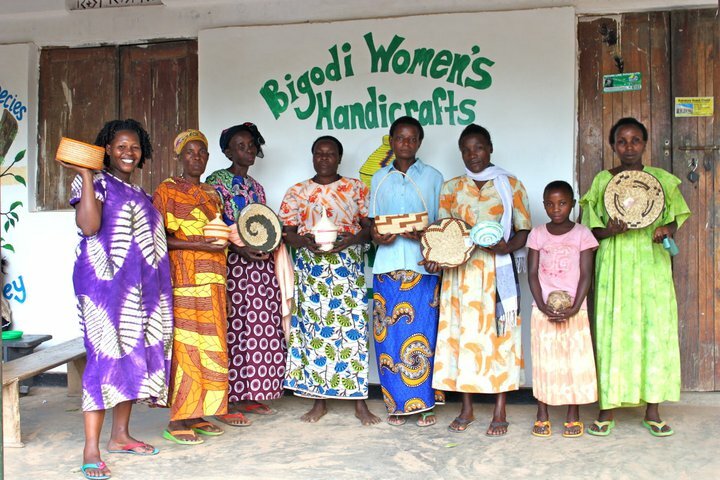 The school is funded by the sales of their handicrafts at the KAFRED (Kibale Association for Rural and Environmental Development) Visitor’s Center at the Bigodi Wetlands Swamp Walk. 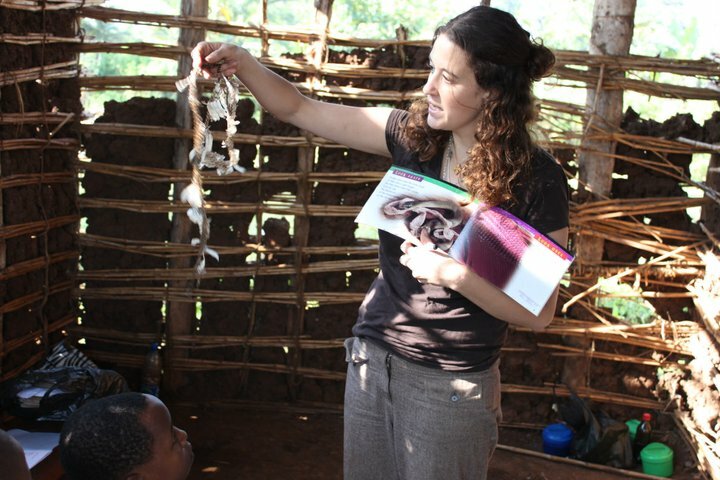 Bigodi is a small village community with no running water or electricity that is located adjacent to the famous Kibale National Park. The park is home to over 1,100 chimpanzees. 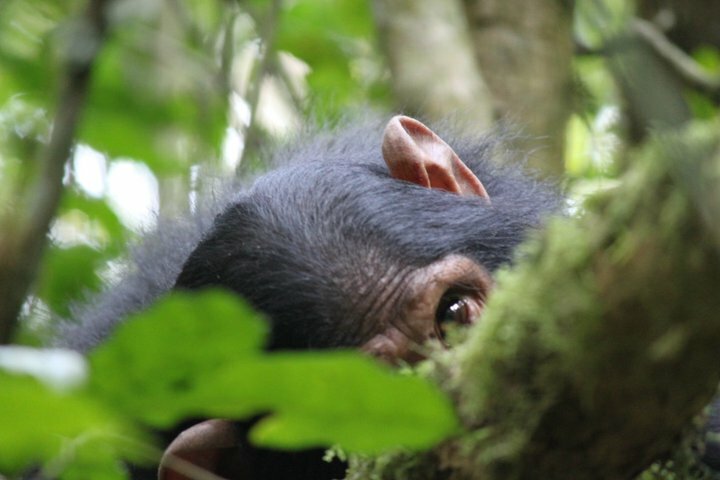 There are three groups of habituated chimpanzees that researchers and tourists come from around the world to see. 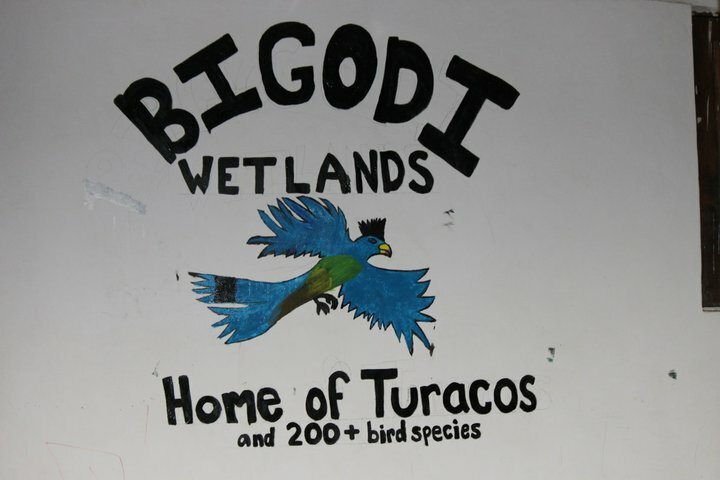 The Bigodi Wetlands protects a corridor between two parts of the park. Every day, tourists join a local guide for a three hour walk through habitat for over 200 bird species and eight species of monkeys. 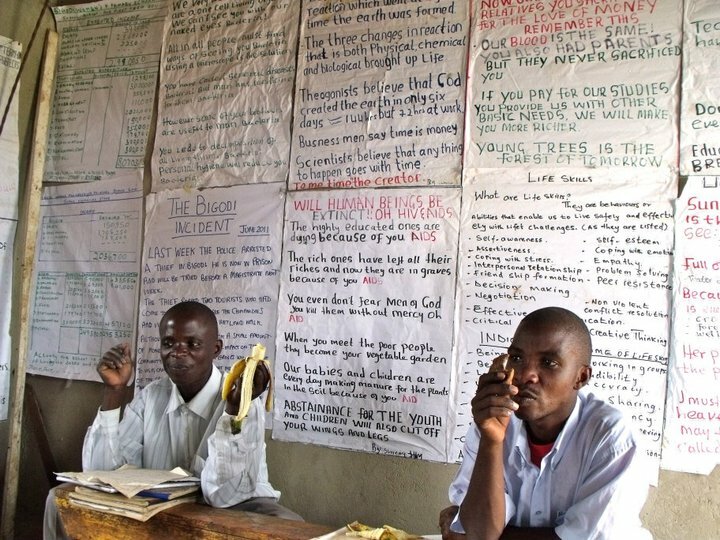 KAFRED was started in 1992 by a Peace Corps volunteer and has been completely community led since then. 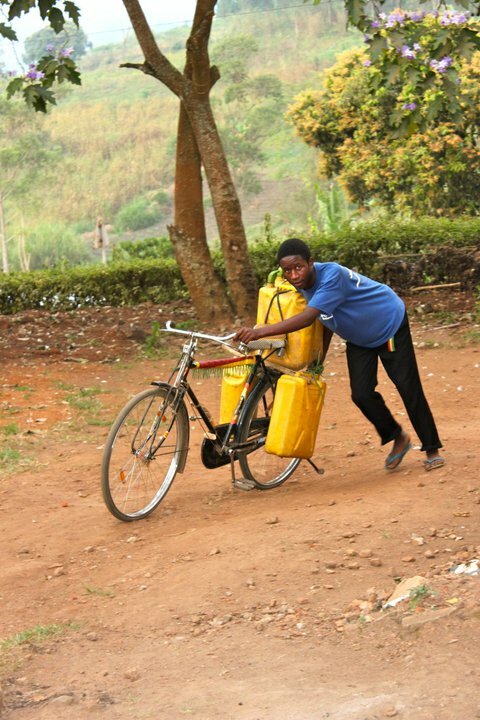 It serves as a successful model for many other African community projects. 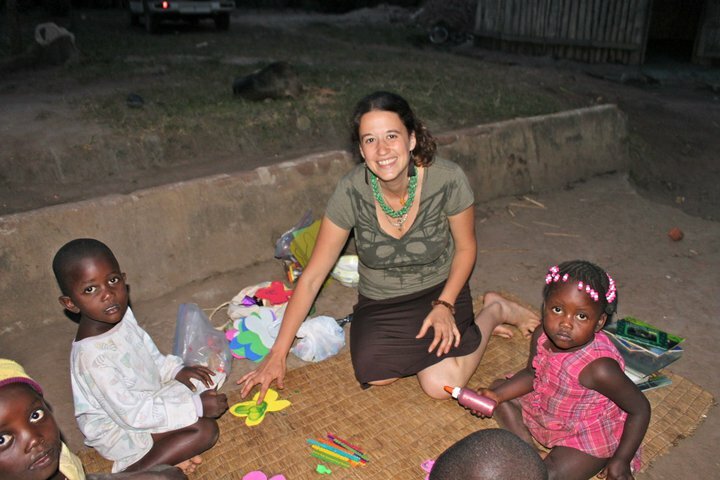 I spent two weeks living with the family of John Tinka, Program Director and founder of KAFRED, and volunteering for the organization. 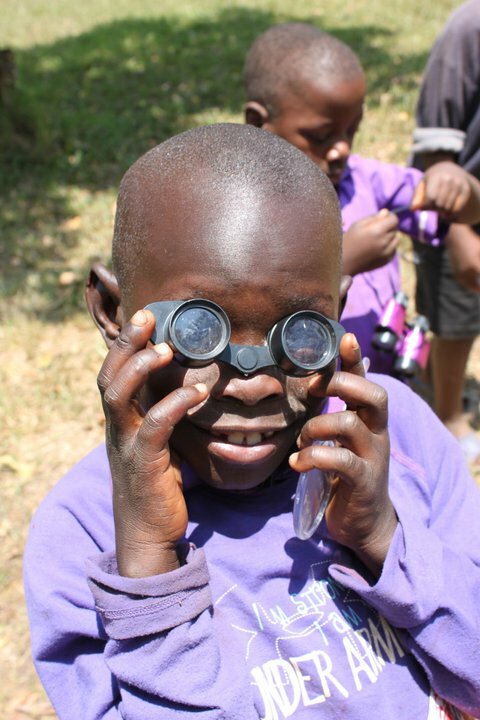 The KAFRED mission is to conserve natural and cultural resources, promote conservation education, and support community development projects through eco-tourism. 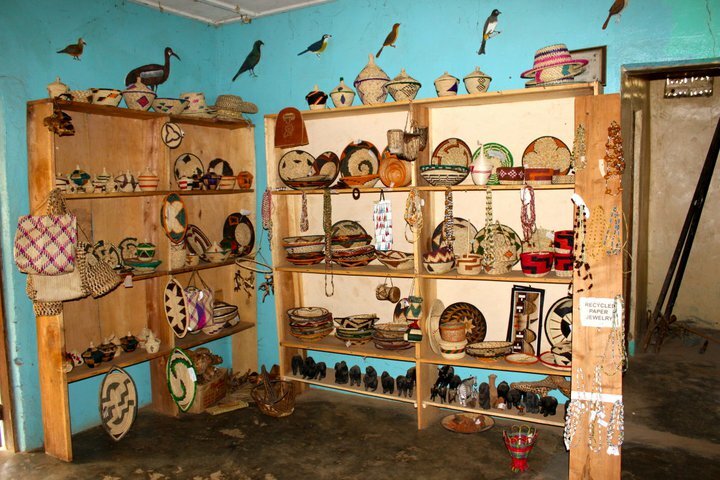 The shelves of the visitor center are lined with the intricately woven baskets and recycled paper jewelry of the Bigodi Women’s Handicrafts Group. There used to be a sign painted on the side of the building directing tourists inside, but when the building was repainted some months ago, the sign was painted over. 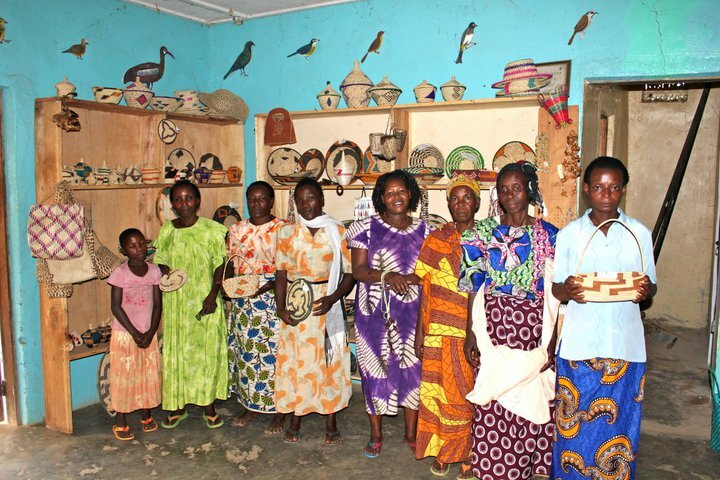 Since then, the sales of the women’s handicrafts that support the school has dropped by 50%. My first project was to repaint a basket sign for the women. 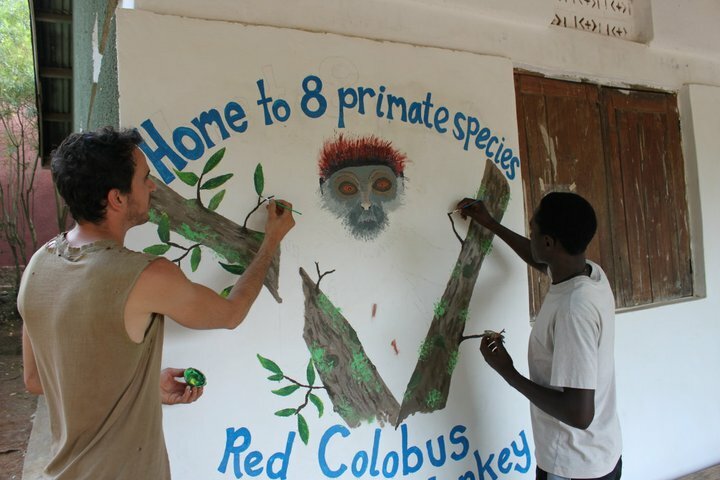 We also painted a red colobus monkey and a Great Blue Turaco, both rare animals that are found in the Bigodi Wetlands. We added a papyrus, a plant characteristic of a Ugandan wetland that reminds me of a small truffala tree. 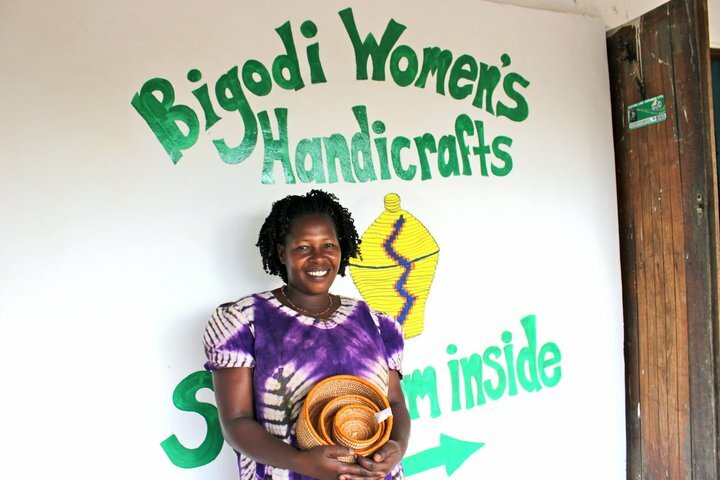 It was rewarding to see how the guides and the community responded to the new brightly painted pictures, and to know that I am going to help the women to sell their wares. 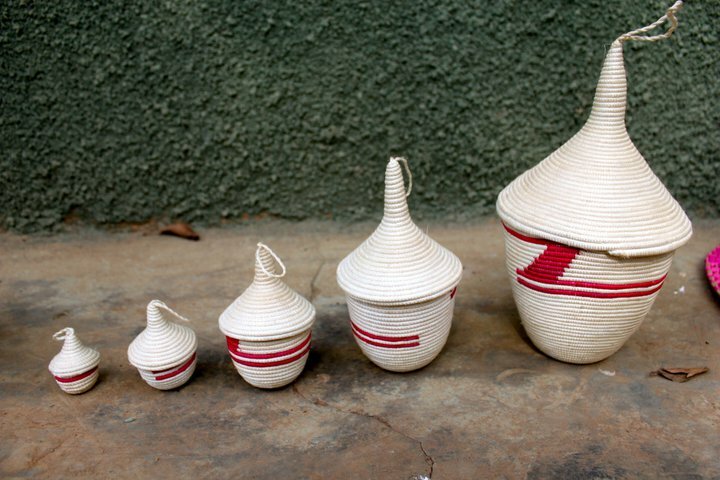 I photographed many of the baskets and necklaces and hope to help the group to get some orders from the U.S.A. Please let me know if anyone is interested in handmade goods that have positive effects on an entire community. 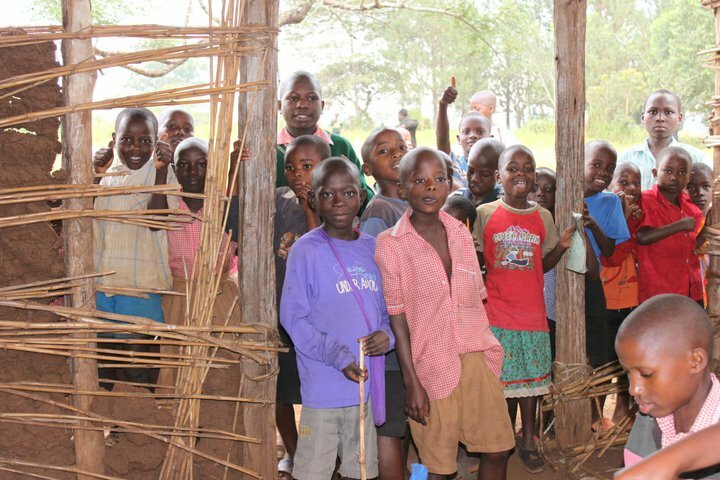 The children returned to school to start a new term last week and I spent five days teaching environmental education. I taught the science curriculum each morning for grade six, and we spent the week studying the classification of living things. I rotated between the other classes where help was needed, and worked with each class in grades 1-5. The sixth graders understand English pretty well, although not necessarily my accent. 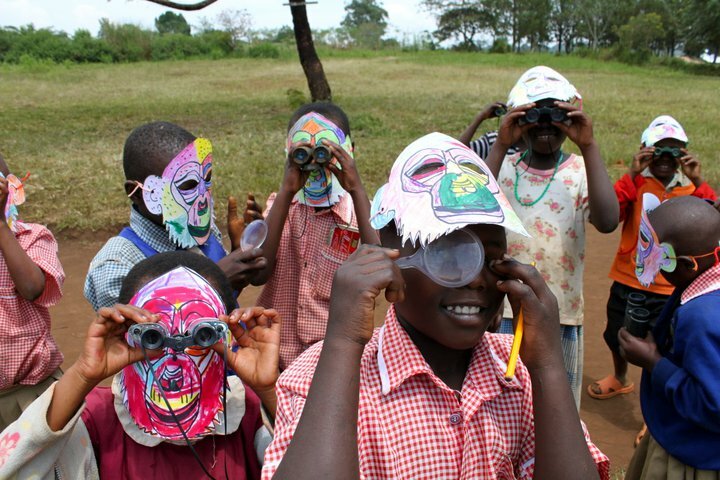 Each day had a different theme with a Nature Explorers lesson, an activity, and an art project. On Monday, we studied plants and seeds. We learned about the parts of the seed by dissecting them, and the parts of the plant by going on a nature walk to collect leaves for leaf rubbing posters. On Tuesday, we learned about the classification of invertebrates. We focused on the differences between insects and spiders, the life cycle of a butterfly, and creating a butterfly stick puppet. Wednesday began the world of vertebrates with reptiles and amphibians, and the creation of a tortoise shaker. 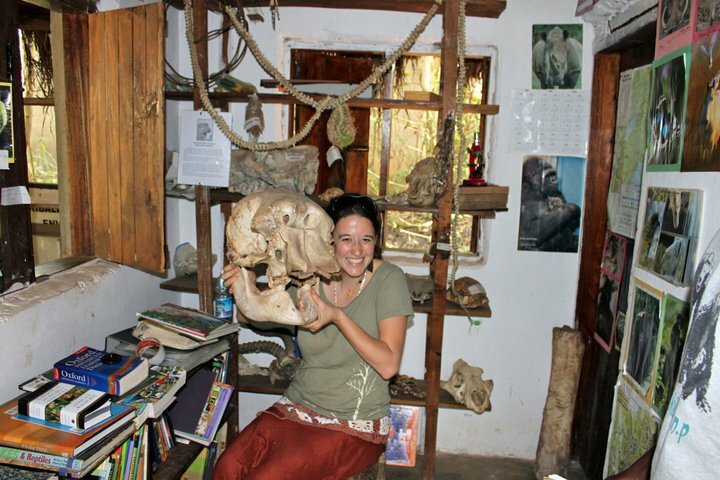 I borrowed books and specimens such as a real tortoise shell and snakeskin from the KAFRED Science Center. I encouraged the children to visit the center and make use of a valuable community resource. Thursday was sharks and birds, with a lesson on raptors and the creation of a raptor mobile. 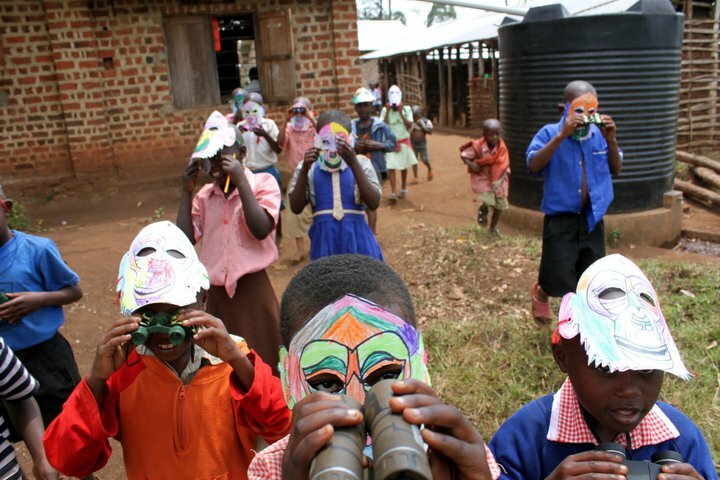 Friday led us to mammals, and the children made African mammal masks. 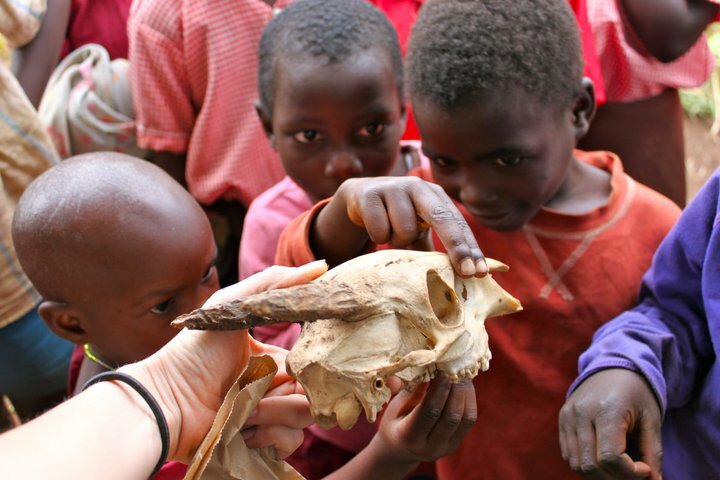 I brought monkey, serval cat, and antelope skulls to show the differences in the teeth of omnivores, carnivores, and herbivores. 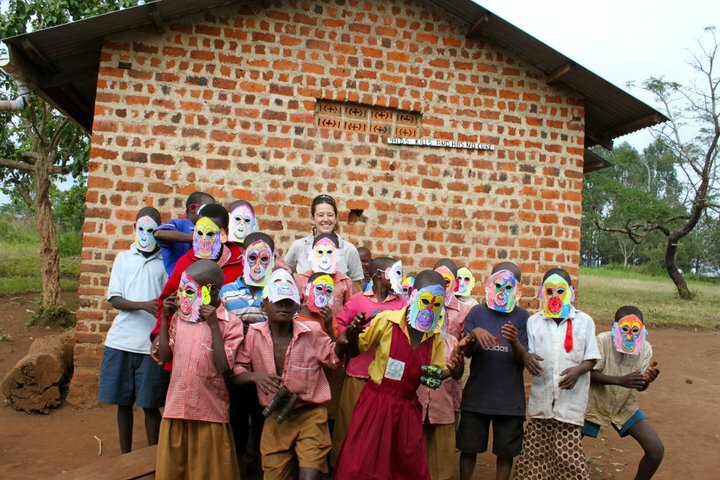 Each child in the primary school made a chimpanzee mask after learning about the importance of protecting chimpanzee habitat. 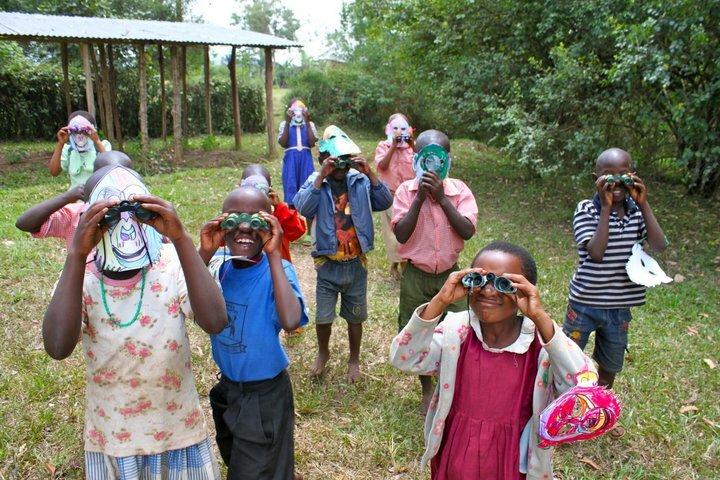 We went on nature walks with the binoculars and magnifying glasses that I had brought, and we made up a chimpanzee song that was chanted around town. 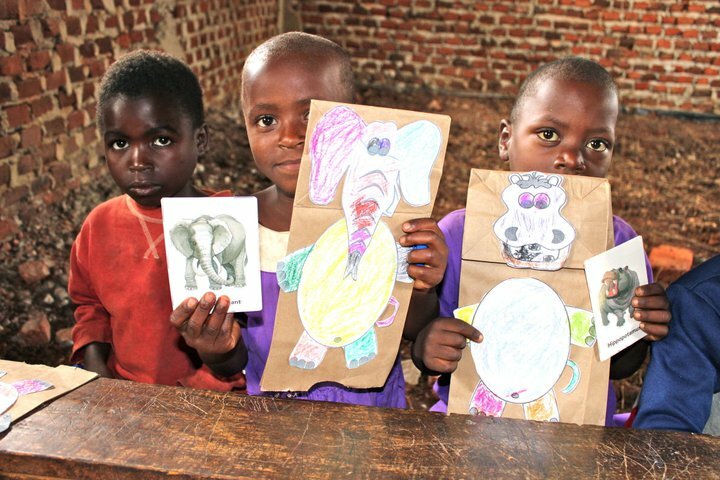 First and second graders made paper bag puppets while learning the names of African animals in English. And everyday at break, I blew bubbles to a chorus of laughing, jumping, screaming children. My last day at the school coincided with my 30th birthday, and the children had a ceremony for me. 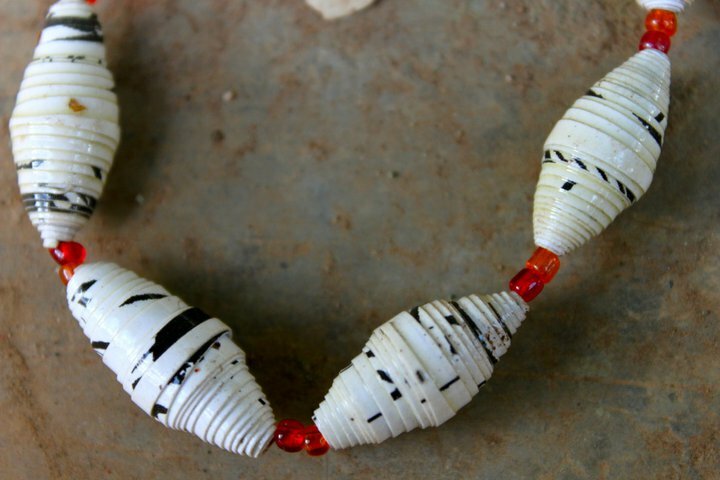 There was singing, traditional dances, and the presentation of gifts from their garden. Each teacher stood to give a small speech of gratitude, and in a farewell speech to the children, I asked three things of them. 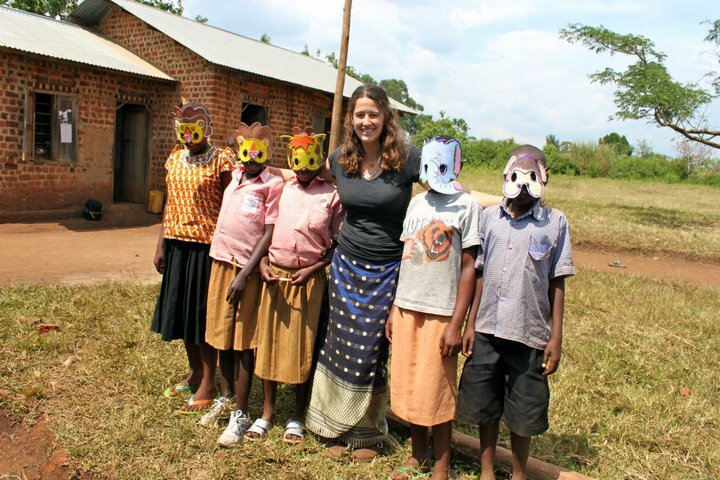 I reminded them to teach others, and encouraged them to stay in school and keep learning. I talked about how their environment is so special, people come from all over the world to see it, and that they must protect it. 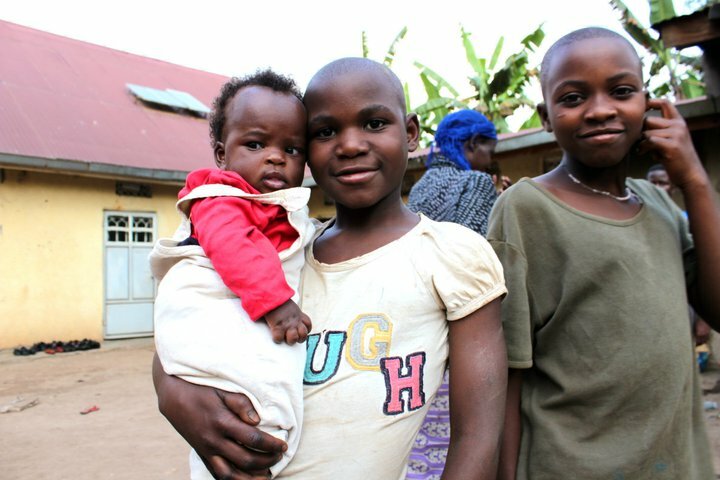 Everyday, I asked them to go home and teach their families and friends what they had learned. I explained that their art projects were not only a gift, but a teaching tool to help them share their new knowledge with others. The Chair of the Woman’s Group came to me on my last day of the village. She told me that parents were calling her and stopping her in the streets. They were saying that their children had learned so much from me, and asking if I could stay for longer. 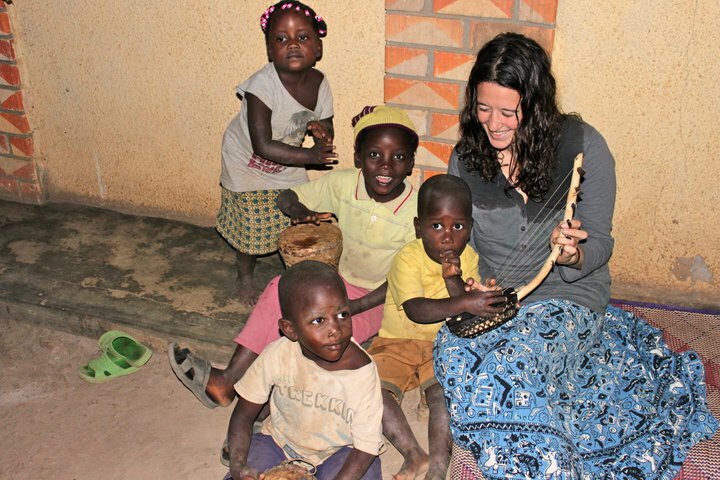 They DID go home and teach their families, and I couldn’t be more proud. 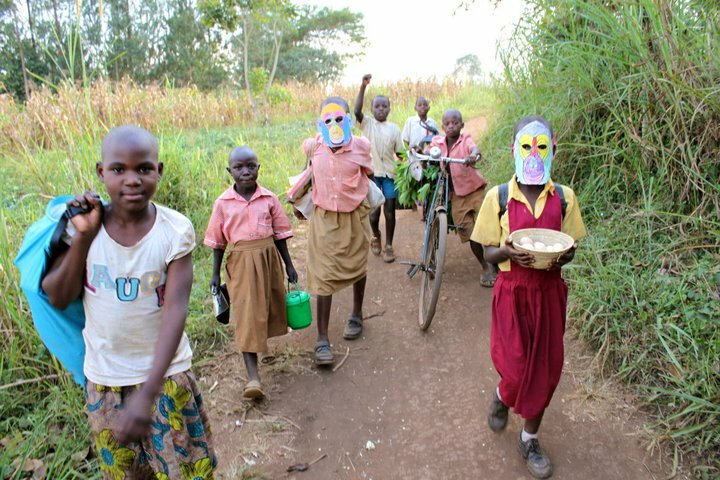 The children wore their chimpanzee masks all around the village. 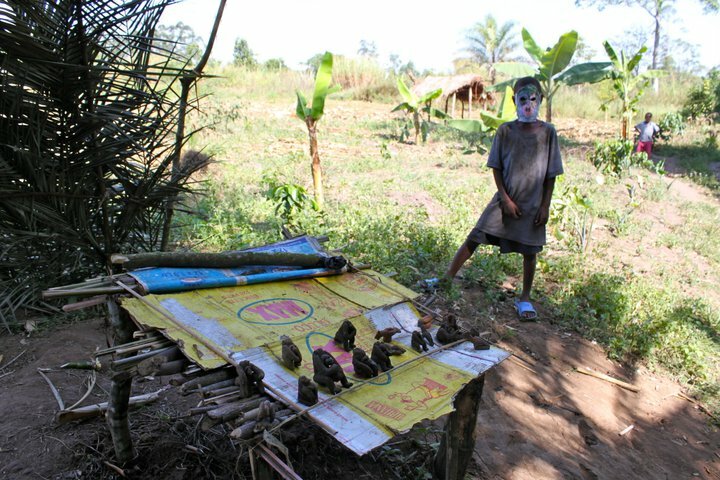 On my last Swamp Walk, a local boy that sells chimps carved out of mud dug from the wetland, was wearing his mask to further entice the tourists. To impact a community is a powerful feeling that is accompanied with a deep and piercing humbleness. My life is so much easier than theirs. I watch Fiona work day in and day out before and after attending her fifth grade class. 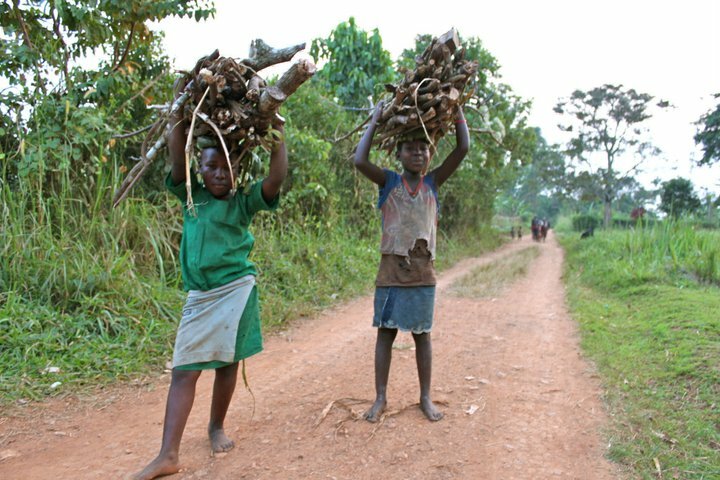 I think about how hard these children work just to carry out the necessities of survival for their family. What have I given the community in the long run really? 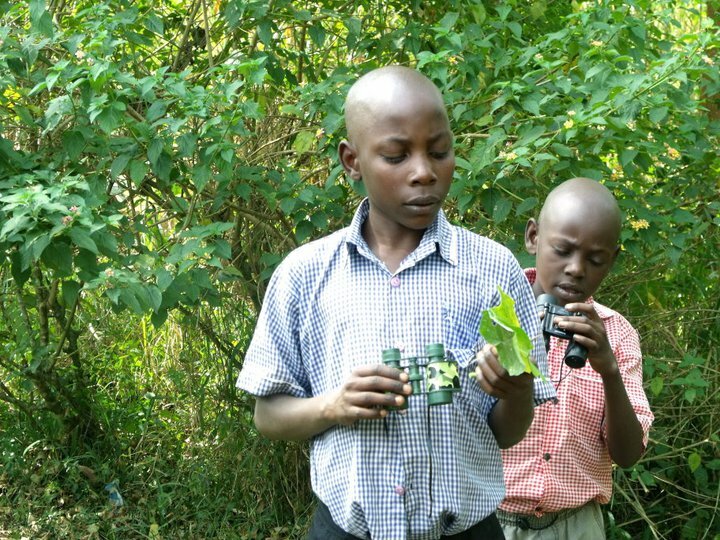 Filled their children’s brains with an excitement for science and a greater knowledge of their environment. 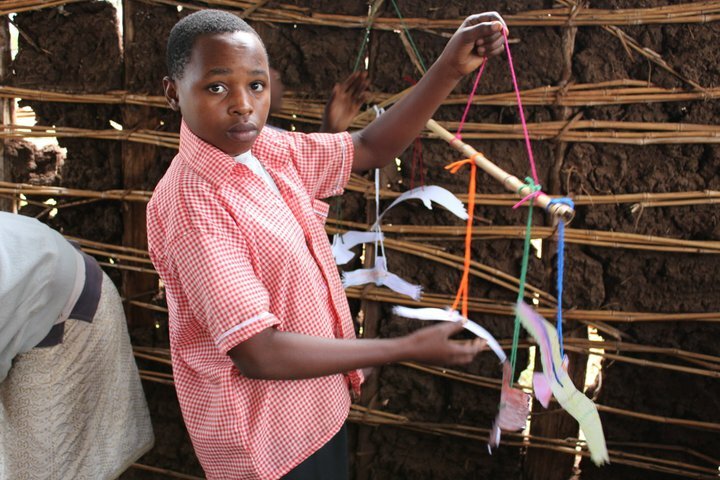 Provided them with a creative approach to learning with arts and crafts that they had never seen before. 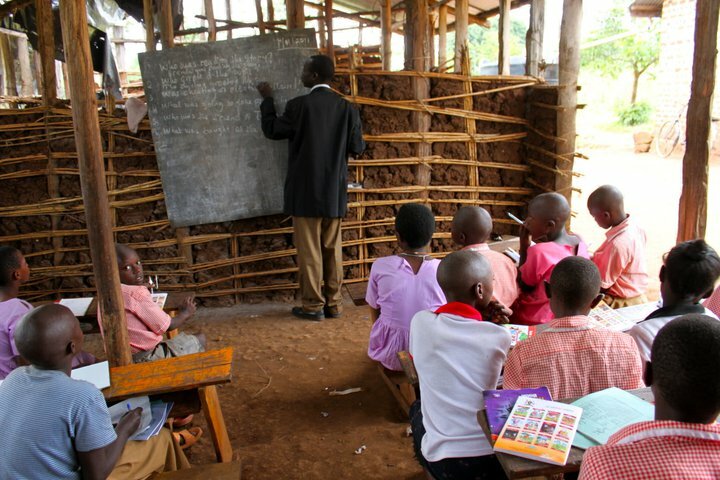 To a school that has absolutely no supplies, will the donations that I left them be useful? Or will they simply serve as a reminder of the privileges that children in rich Western countries are accustomed to? 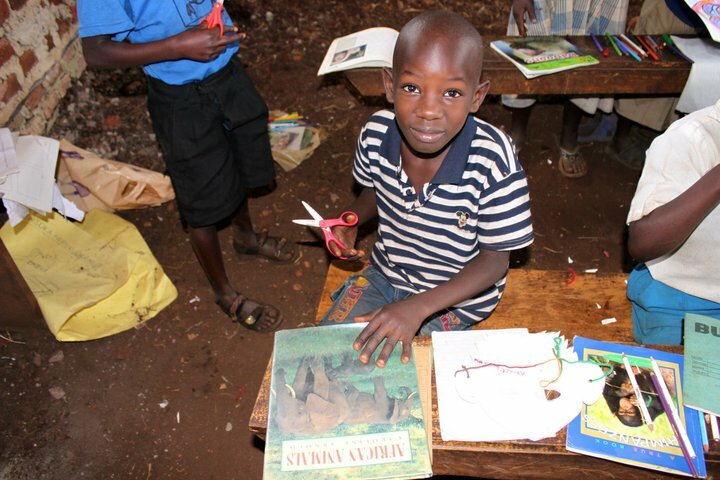 What is an art project to a child with no shoes, a school with no walls? In eleven days, I have made connections that will last a lifetime and left a positive impression upon children that long for role-models. What could I do if I stayed longer? Can I change a life in that small amount of time? 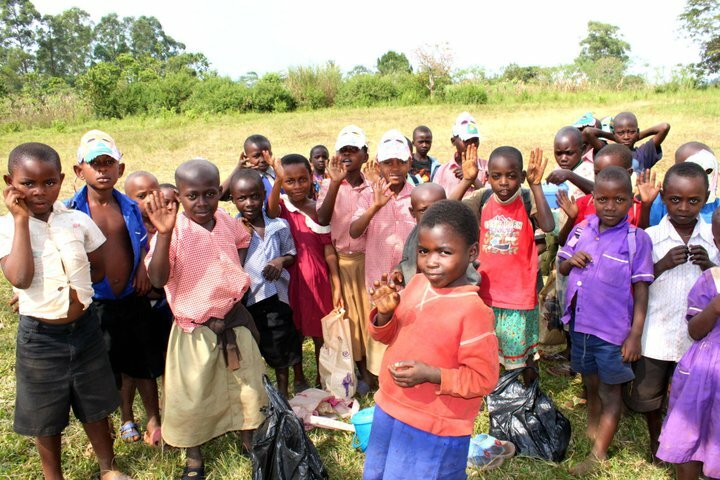 If you would like to help out the school, or the Bigodi Women’s Group, please let me know. I thank all of you tremendously who donated supplies for this trip. Seeing the excitement in a sixth grader the first time they use scissors, the wonder as they discover how a hole punch works, and their pure delight at the simple act of coloring is indescribable. 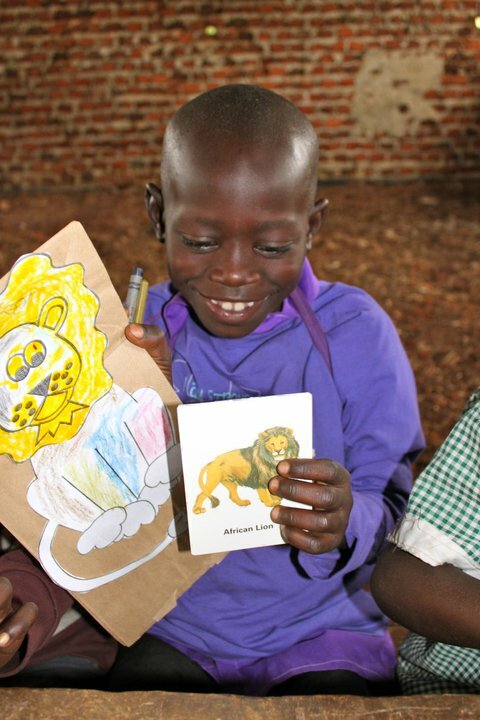 I have donated supplies to UNITE (Uganda-North Carolina International Teaching Initiative. 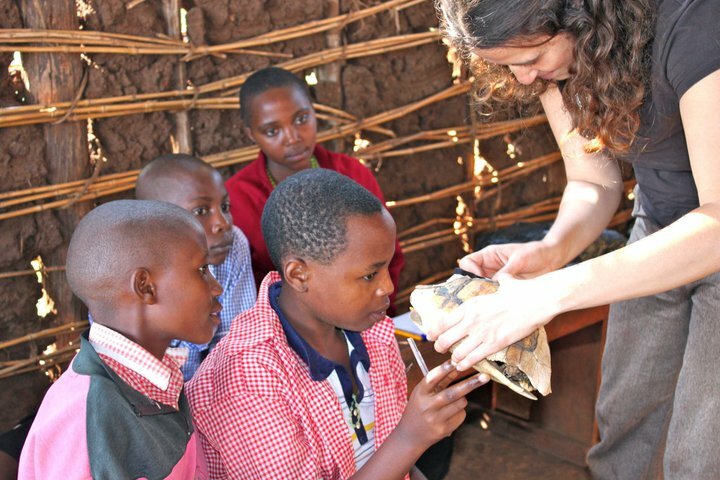 This great conservation education organization is working with schools near Kibale and is associated with a zoo in North Carolina. Thank you for listening, and for your positive energy and support, for it is how I keep my strength. 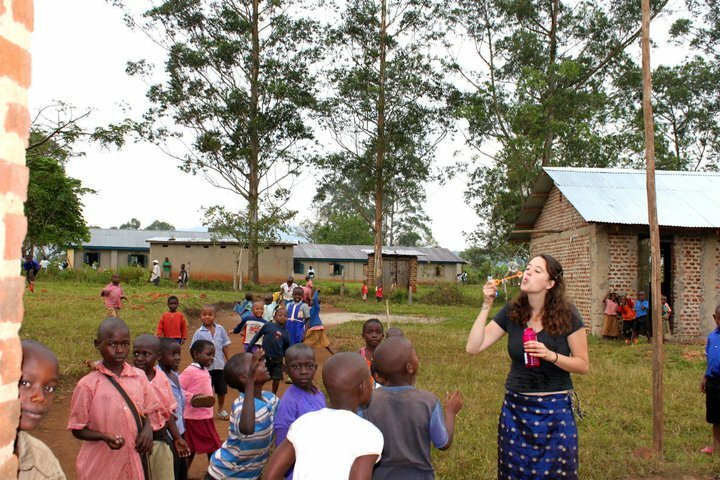 How have you impacted communities on your travels? I would love to hear other volunteer stories! What a wonderful experience for you and for all the young lives you have touched.